Plums stay fresh for just a couple of weeks at best, but dried plums -- or prunes -- can last for up to 12 months with proper drying and storage. The dried fruit retains much of the nutrient content of a fresh plum, without the high moisture that leads to spoilage. Food dehydrators give you a convenient way to turn plums into prunes, but your regular oven also works well if it has a low heat setting. European plums are most commonly turned into prunes, but you can dehydrate any plum variety. Most other varieties have clinging stones that must be cut out before or after you dehydrate the fruit. Wash all plums thoroughly to remove dirt and other residue. 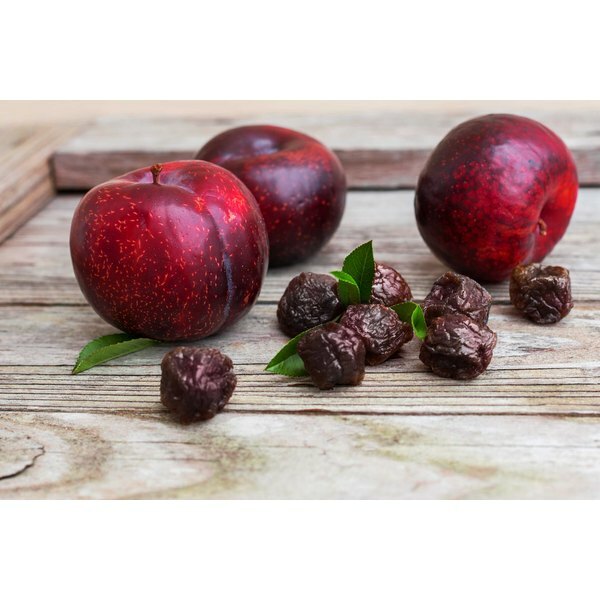 To help prevent discoloring in the drying process, treat the plums with ascorbic acid, citric acid or sodium metabisulfite before turning them into prunes. If you use ascorbic acid, mix it at a rate of 2 1/2 tablespoons of ascorbic acid per 1 quart of water. Stir citric acid into cold water at a rate of 1 teaspoon of citric acid per 1 quart of water. Mix sodium metabisulfite pretreatment at a rate of 1 tablespoon for 1 quart of water. Whichever solution you choose, drop whole or cut fruits into it to soak for about 10 minutes. Drain, but do not rinse, the plums. The waxy plum skin makes it difficult for moisture to escape during the dehydrating process. If you cut the plums into smaller pieces for dehydrating, the skin is not a problem because cutting exposes the internal flesh to air. If you want to make prunes from whole plums, you must first crack the the skins in boiling water. Bring a large pot of water to a boil. Drop washed plums into the boiling water for about 30 to 60 seconds. Remove the plums and plunge them immediately into a bowl of ice water. You can leave the cracked skins intact or peel them before dehydrating. Food dehydrators have a series of trays that stack together with perfect spacing and air circulation. Given the limited size of the trays, this option is not suitable for drying whole, large plums. If you don't have a food dehydrator, arrange the plums on cake cooling racks or cheesecloth suspended over baking pans with clips. Place the pans in the oven. The plums require air circulation on all sides for even drying, so baking sheets alone do not work. The oven is only an option if you can set its temperature to 140 degrees Fahrenheit and regulate that temperature for several hours. Arrange the pretreated plums on the trays with about 1 1/2 inches of space between each piece. If you use multiple trays, each tray requires 1 1/2 inches of space above and below for proper air circulation. 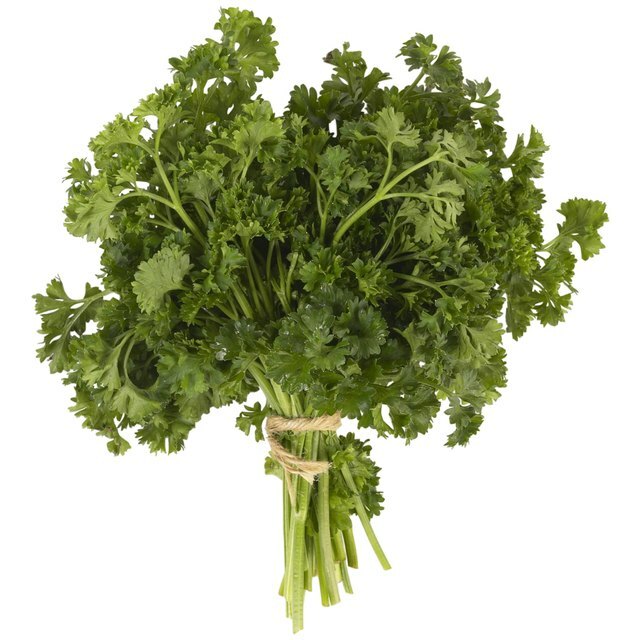 Set the dehydrator or oven temperature to 140 F. Alternatively, start at 120 F and slowly increase the temperature to 140 F over a period of 2 hours. Leave the oven door cracked, and place a fan near the door to help circulate the hot air. Rotate the trays to a new position within the dehydrator or oven every hour so the fruit dries at roughly the same rate. It can take 12 to 36 hours to dehydrate plums, depending on the size of the pieces. Remove them when the majority of the pieces are shriveled and dry. Store them in an airtight bag or container for up to 10 days to condition the prunes, a process that balances the moisture when some pieces dry more than others.